Ever since the third grade, when my best friend introduced me to Dragon Ball, I have been a huge fan of anime. In fact, I remember even before that, before I even learned to speak English at age six, I used to watch several anime shows dubbed in Spanish. I delved into the stories, became attached to the characters, and invested a lot of my free time watching anime. In adulthood, I have developed a different sort of appreciation for it. Usually, anime are rich stories with well-developed characters who have many layers, and experience a number of issues that may seem difficult if not impossible to overcome. The stories are usually well thought out and meaningful, and many times they are stories that viewers can identify with. Anime is not just "cartoons," it's a form of art. Black Butler (Kuroshitsuji), an anime based on Yana Toboso's manga of the same name, has all of these elements. Boasting two seasons, two additional short series, several Original Video Animations, and a huge amount of devoted fans, Black Butler is definitely a favorite. It was also the first anime from which I decided to cosplay (but that is a topic for a different post). The story takes place in Victorian England and centers around a thirteen year old boy, Ciel Phantomhive, and his butler, Sebastian Michaelis. Ciel Phantomhive is an English nobleman and sole survivor of the Phantomhive family. Upon his parents' deaths, he became the person in charge of managing the family company, as well as taking on the obligations that come with being the only survivor of a powerful noble family and having to uphold the family name. But the Phantomhives didn't become powerful by simply owning a successful company. For generations, they have been the "Queen's Watch Dogs," the keepers of the royal family's secrets. They exist in the underground world, as a phantom, handling situations that the royal family wants handled. This includes containing and monitoring criminal organizations, and sometimes putting a stop to them when they get out of hand. 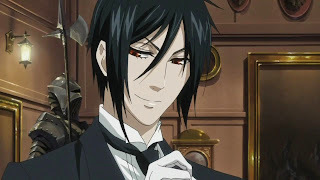 The young Ciel Phantomhive's butler, Sebastian Michaelis, is not just a good butler. He is literally a demon from hell. How does this boy go about "hiring" a demon, and why is it pertinent to this psychology blog? 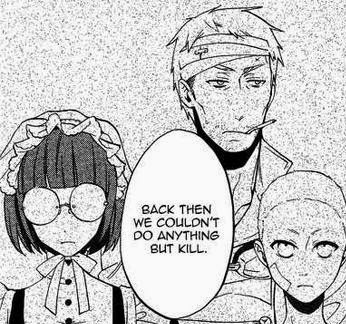 At the age of 10, Ciel Phantomhive witnessed his parents' assassination in their own home. He was captured and sold to a group of individuals who kept him a prisoner. It's inferred that he was physically, and possibly sexually, assaulted. When the moment arrived that his captors decided to sacrifice him as part of what seemed like a satanic ritual, a demon was summoned as part of the ritual. Rather than respond to the plea from its summoners, the demon heard the plea from the boy. The plea was to free him, and to help him avenge himself. The demon's terms were that in exchange for helping Ciel avenge himself, the demon would eat Ciel's soul. Until the day would come that Ciel could achieve his goal of avenging himself, the demon would protect him and follow any order he might give. Ciel agreed and formed a contract with the demon, naming him Sebastian after a dog Ciel used to have. He then returns to his home and the extended family that he still has, but nothing is ever the same for him. Through the trauma of losing his family and his childhood in such a terrible way, Ciel Phantomhive was stripped of the person that he was. Not only did he lose his parents, but he no longer had the opportunity to grow into whatever person he was supposed to become. Physically, his development was stunted. It seems that he stopped growing, or at the very least he was growing at an extremely slow rate. He showed multiple signs of posttraumatic stress. He was unable to sleep alone in his room, he experienced nightmares and woke up screaming, and he experienced flashbacks of his parents' deaths. Even as three years pass (where the story begins), Ciel is unable to trust anybody. He does not have friends, but business associates. He has obtained new "servants" who in actuality make up his own "private army." Even after three years, if a situation is bad enough he can be triggered into having flashbacks, which make him physically sick. His only childhood friend comments that he has not smiled since the day he returned. The significance of the demon butler Sebastian is a crucial aspect of the story. Sebastian carries out his butler responsibilities to perfection. He follows Ciel's orders to the letter. He accompanies Ciel wherever he goes as a protector. 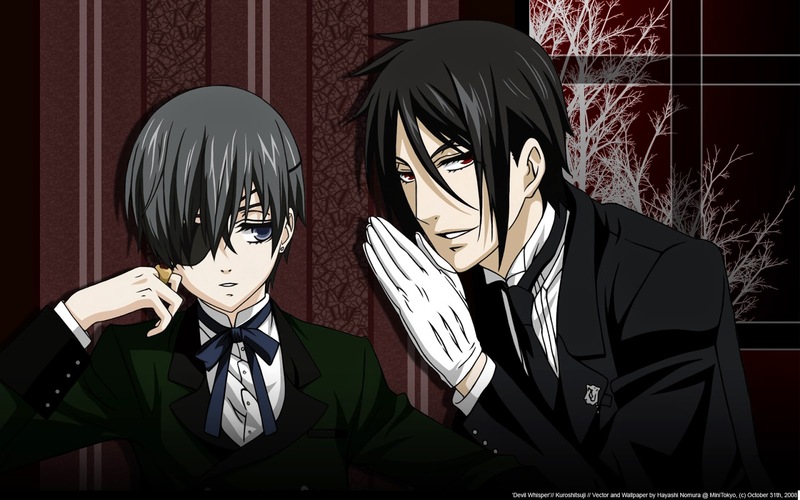 Many fans have pointed out that physically, Sebastian sort of resembles Ciel's deceased father. Why is Sebastian such an important character, and what does it say about trauma? Like many children who experience severe trauma, Ciel carries a demon with him everywhere he goes. The demon is both a reminder of the pain he suffered, and a symbol of renewed strength and posttraumatic growth. The idea of posttraumatic growth is that after experiencing a trauma, a person can experience growth in one or more areas of life. According to the Posttraumatic Growth Research Group at the University of North Carolina at Charlotte, growth can occur in five areas: a sense of new opportunities, closer relationships with others or a heightened sense of connection with others who suffer, increased personal strength, a greater appreciation for life, and an increase/change in one's spirituality. Ciel seems to have achieved posttraumatic growth in at least two areas. First, he has developed a sense of increased personal strength. 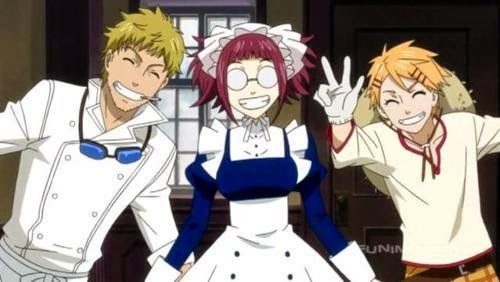 He is able to carry on with his responsibilities as the sole remaining Phantomhive because of the strength and protection that Sebastian provides, but he doesn't depend on Sebastian for everything. Ciel is the one who makes all the decisions and gives the orders. When he is triggered to have a flashback of his time spent as a prisoner, and is experiencing an anxiety attack, it is his demon who helps ground him by reminding him that he is no longer in the cage. Second, despite having difficulty trusting others, he develops a connection with his servants, each of whom has their own personal struggle that he/she has faced, each has his/her own trauma. In one chapter, for example, the chef Bardroy recalls how different life was for them before working for Ciel, stating, "Back then, we couldn't do anything but kill." The servants also recall how they had "no home, no friends, no freedom," before working for Ciel. His servants develop an undying loyalty toward Ciel, and in a way they come to see him as representing hope, home, family, and perhaps redemption from their past. It is interesting that it would take someone with such a traumatic past as Ciel to offer this sense of belonging to a group of individuals with their own complicated pasts. In addition to his servants, Ciel seems to have a keen awareness of the gifts of others. Whether this is an innate trait or something he developed as a result of his trauma, he is better able to read people and assess them quite accurately. To say that Ciel copes well with his trauma is not a good assessment of his mental health. He does not wish to overcome his trauma by experiencing the feelings it brings up in him, but by embracing the tragedy of it and allowing it to swallow him whole, as will literally happen eventually. He lives his life as though he were a much older person. Like many who suffer traumas, Ciel was forced to grow up too soon, to reach a level of maturity and understanding of the world and society that is incongruent with his chronological age. He learned that the world is not a safe place, and that people are not dependable. He has learned that he must act only for himself, and to take advantage or be taken advantage of. Despite counting on his demon to keep him safe (perhaps symbolic of how trauma can keep a person from being open to new experiences), he does not trust him. To conclude, Ciel's story has many real life elements of what it is like to live with trauma, expressed through symbolic representation. Ciel has people who care about him, but he cannot ever truly trust anyone again. He has resigned himself to be defined by his tragedy. Though his way of coping may not be healthy, it teaches us about what it is like to carry the demons of our past wherever we go. 2 comments on "The Psychology of Kuroshitsuji: Lessons in Trauma"
This is a very interesting point and I completely agree with it. And even in the show, Ciel says himself that he doesn't want to heal. He's an interesting character, but it also makes us see the harsh reality of the world around us.